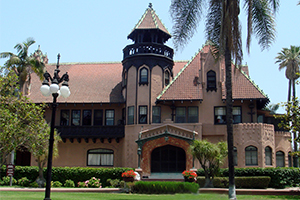 Over a century ago, Trinity College was founded by the Sisters of Notre Dame de Namur as the nation’s first Catholic liberal arts college for women. Beginning with the first graduating class of 1904, the mission of Trinity has been realized in the lives of her graduates. Trinity’s commitment to liberal learning derives its ultimate meaning from the core identity of Trinity as a Catholic college. Beyond spiritual growth realized through theological studies and liturgies, the Trinity community also lives its faith through active service to people in need in Washington and around the country. Trinity’s commitment to faith and liberal learning is also realized in the Honor System that governs all aspects of academic and co-curricular life on campus. 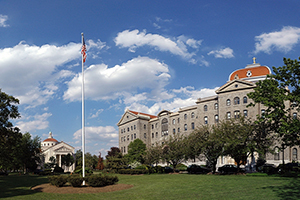 Mount Saint Mary’s University was established in 1925 by the Sisters of St. Joseph of Carondelet. Since their founding in Le Puy, France, in 1650, the Sisters of St. Joseph of Carondelet (CSJs) have been faithful to their original mission of "helping women become all they are capable of being" and of "serving all persons without distinction." Mount Saint Mary’s University’s academic programs place a strong emphasis on social and ethical values consistent with the Catholic view of compassionate community involvement—both in Southern California and around the world. The University also prides itself on the diversity of its student body and faculty, which includes a wide variety of religious, cultural and ethnic backgrounds. Bay Path University was founded in 1897 in Springfield, Massachusetts, as a coeducational business school offering programs in accounting, business administration, secretarial science, and business teacher training. In 1945, Bay Path moved to Longmeadow, Massachusetts, and it restricted its enrollment to young women. Four years later, it received approval to be chartered as Bay Path Junior College. In 1988, the Massachusetts Board of Regents of Higher Education authorized Bay Path Junior College to become a four-year degree-granting institution, and its name was officially changed to Bay Path College. Maintaining its commitment to women-only undergraduate programs, as well as coeducational graduate programs, in 2014 the College became Bay Path University. From its inception, Bay Path has continually developed innovative educational and career-focused programs in direct response to the needs of our students and the changing workplace. 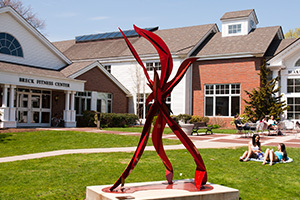 At its Longmeadow campus and satellite campuses in Sturbridge (MA) and Burlington (MA), the University offers undergraduate degrees for women; graduate degrees for men and women on campus and online; and the American Women’s College offering accelerated degrees programs for adult women—online or on campus through its One-Day-A-Week Saturday program. Founded as a private institution for the education of women, Brenau began life in 1878 as Georgia Baptist Female Seminary. In 1900 H. J. Pearce purchased the institution and renamed it Brenau, a linguistic blend formed from the German word brennen, “to burn”, and the Latin aurum, “gold”. Brenau University envisions a very different learning experience than currently offered at other educational institutions. Melding into Brenau’s existing liberal arts and pre-professional educational approach is a new and richer means of understanding and relating to our world. 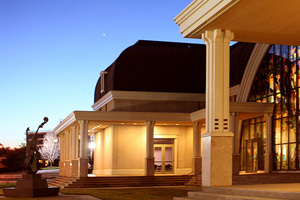 We describe this evolutionary learning experience as Brenau’s “Portals of Learning” – doorways or entries into transformational environments where individuals experience (not just learn) understanding of, adaptation to and prospering in a faster paced, information-centric, scientifically demanding, and culturally diverse global society. We transform the world through the education and success of women and girls. We conduct research to illuminate the factors that enhance women's success and measure our effectiveness. We provide resources for students, parents and their advisors to help with their college search.